We visited my son’s Kindergarten Open House recently, and I loved listening to all of the wonderful activities planned. Of course, the math portion of the presentation interested me most! I couldn’t wait to hear the teacher discuss the strategies she uses! My son’s teacher emphasized early number sense, which she explained as truly knowing what a number means and represents. The number sense basis serves such a critical role in students’ mathematical development. We only had time to hear about one math strategy they use in Kindergarten. The teacher demonstrated how a ten-frame works, and it made me think about number sense activities I have to share with you! I’ve shared 5 activities below. Number sense has many definitions, depending on whom you ask to define the term. I feel that NCTM’s Principles and Standards defines it well: “number sense develops as students understand the size of numbers, develop multiple ways of thinking about and representing numbers, use numbers as referents, and develop accurate perceptions about the effects of operations on numbers” (p.80). Math educators want to move kids beyond counting and understanding a number as a fixed quantity of objects. Numbers have relationships and patterns and connect to the real world. It is up to early grades teachers to establish this number foundation. That all sounds wonderful, but how do we accomplish this? 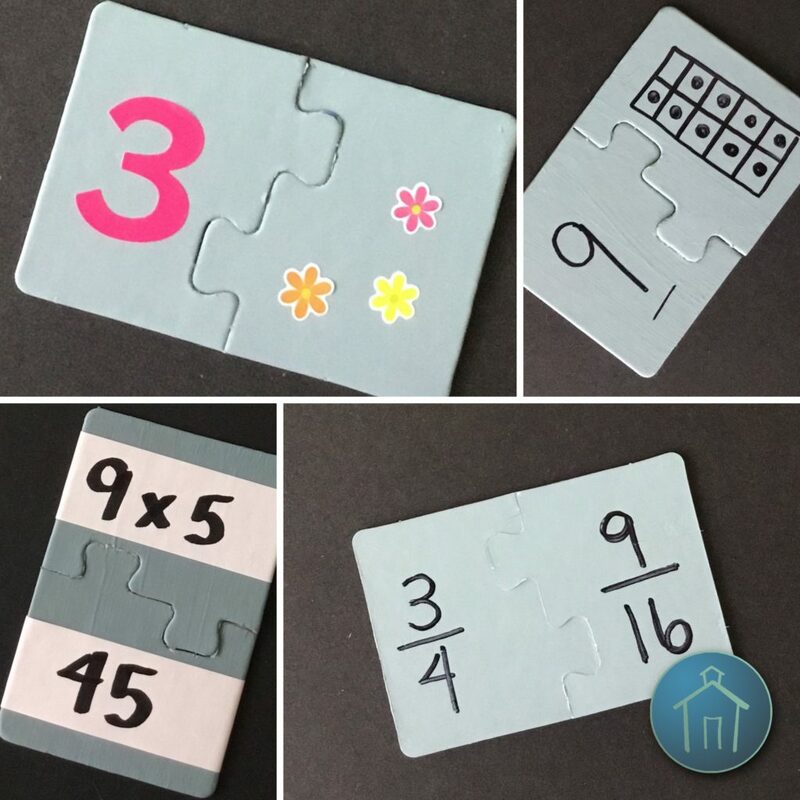 Here are five classroom activities that help bridge the gap between counting all and addition. 1. What Number Comes Next? This is a low prep activity! Place a stack of digit cards on a desk or table. Have the student draw a card and tell which whole number comes next. This activity helps students practice putting counting words in order before to count on from a given number. Students might have counters or a number line available at first for support as they begin to think about not starting at one. Number lines are a critical tool in the math classroom. 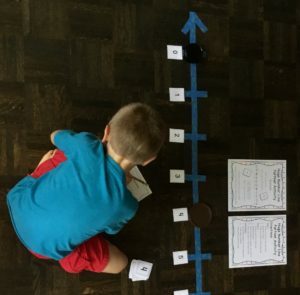 Young students often use the jumping frog on the number line to show that they are moving in equal intervals. 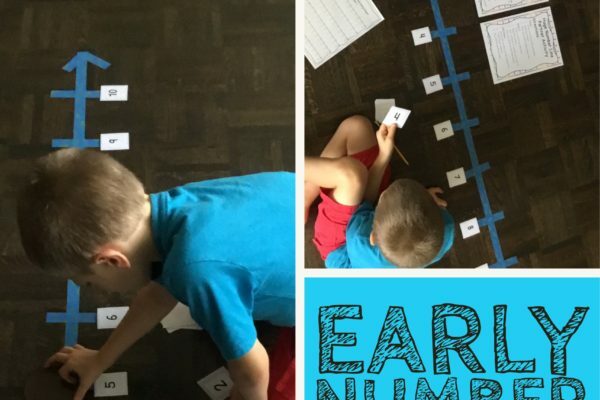 This kinesthetic activity is engaging and provides a great number line introduction. You need to have a good-sized space in your classroom or right in the hallway. Tape off a huge number line using painter or masking tape. Mark 0 – 10 (or 20 later in the school year) in equal intervals using the tape. A container lid or large laminated circle is perfect for students to move their “point” along the number line. Allow partners to each draw a number card and combine their amounts using the number line. Example: Partner A draws a 3. Partner A moves the point from 0 to 3. Next, Partner B draws a 4. Partner B moves the point from the 3 and counts on 4 intervals to 7. Both students record these moves on a number line recording sheet. Students trade and Partner B draws first. Using fake apples or laminated apple cut-outs and a basket, the teacher shows the student(s) that he/she is placing some number of apples into the basket. The teacher might place 5 apples in the basket and have the students count to verify. He/she then places some more apples next to the basket, perhaps 2 apples. The teacher reminds the students that there are 5 in the basket and now 2 more. He/she models counting on by saying “5 in the basket” then points to each of the two apples and says “6 apples, 7 apples” to the students. The teacher continues to model and asks students to help him/her count on from the number in the basket. However, when working with a struggling student individually, the teacher can allow the student to count the apples in and out of the basket together. Then the student can attempt counting on. 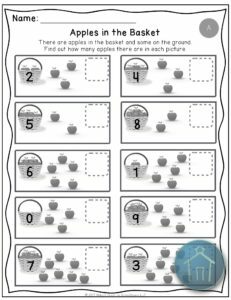 Students can complete the activity above independently by drawing a number card that tells how many apples go in the basket. The student should draw a second card to show how many apples are outside of the basket. He/she should use a recording sheet to show thinking. Alternatively, have students create number situations themselves and model them with counters or other manipulatives. This final activity gives students a chance to extend the Apples in the Basket activity. First, draw a digit card and record the number on the card. Next, students roll a number cube that has dots to signify the number. Finally, students count on from the digit card the number they rolled on the number cube. Have students record their answer and show how they know their answer is correct. Students may choose to draw the total set or use manipulatives to demonstrate their work. I hope that these activities give you ideas for classroom! 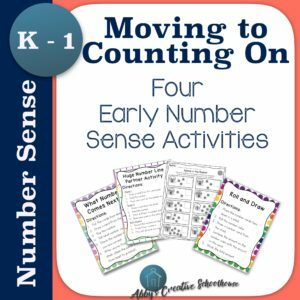 If you would like to have these activities in a printable, ready to go format, check out my Early Number Sense Activities Pack here! 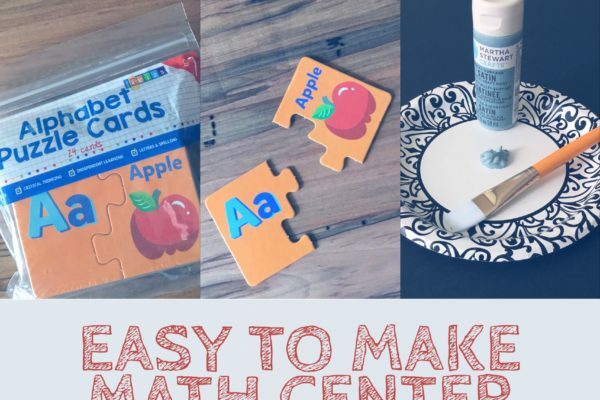 I always have math center ideas on the brain. I saw these in the Target Dollar Spot and had to buy them. I’ve seen similar puzzle cards at the Dollar Tree as well. 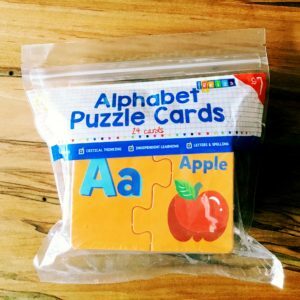 Why, you might wonder, would a math teacher want alphabet puzzles? These puzzle cards carry some serious potential. The interlocking pieces seem perfect for a math center, and they are only $1! Surely I can modify them to fit into a math classroom. Read on for my process! I decided to use acrylic paint, but in hindsight I would much rather spray paint these or use chalk paint. I had acrylic paint on hand, and I liked the color. Use what you like! Most important of all, protect the work surface! First, apply a thin coat of paint to the entire alphabet card. Allow to dry for a few minutes. Next, apply a second coat of paint to the card. Allow to completely dry, preferably overnight. 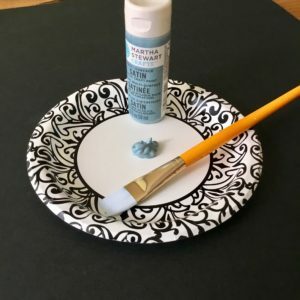 Finally, use a Sharpie, scrapbook or regular stickers, or even printed labels to create your matching cards! I can think of so many ways to use these as a matching math center, but here are my top ideas! Feel free to use these, or you can use anything from your state standards. As you can see, you can use anything in your standards that asks students to match. If you use labels, then these activity cards can be used throughout the school year. Just peel off the old label and replace with a new one midway through the school year. Voila! 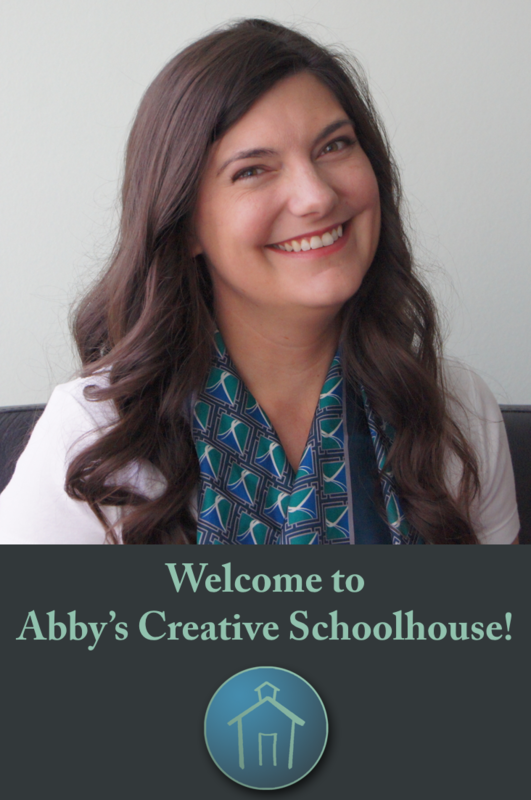 A brand new center for your students. 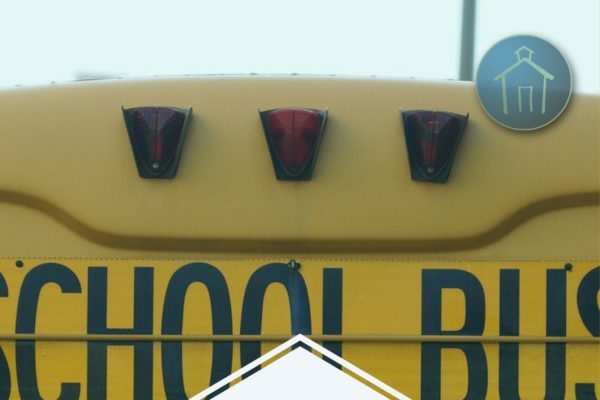 I can’t believe school is starting so soon – August 1st is Day 1 in the Atlanta area. It’s a particularly poignant school year for me because my “baby” is starting Kindergarten! Where does the time go? 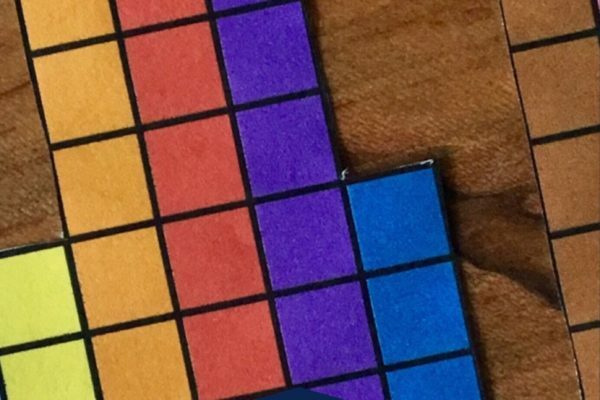 I’m always looking for new, engaging ideas for back to school in the math classroom and thought I’d share five activities with you! It’s almost back to school season here is the South! Are you a math teacher wondering how you can incorporate data into a back to school activity? Here is an easy, hands-on activity that will give you great information about your class and engage students at the same time! I always felt so limited on time at the beginning of each school year but knew that getting to know my students mattered! The first year I taught middle school math, I tried having the students write a letter to me about their previous math experiences. This was great and gave me a lot of insight into my students’ perceived strengths and weaknesses, but 100 letters to read is daunting! It was also difficult to get a feel for learning preferences. I started my gifted endorsement that year and learned about multiple intelligences. In our class, we took a survey to discover our own multiple intelligences and graphed the results as a visual. This spoke to my math teacher brain! 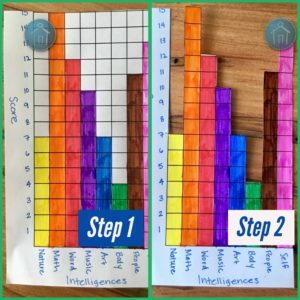 The following activity allows students to discover their own multiple intelligences, graph the results, and compare them to other classmates. It gives the teacher great information about differentiation needs for the school year. And who isn’t itching to break in new school supplies??? 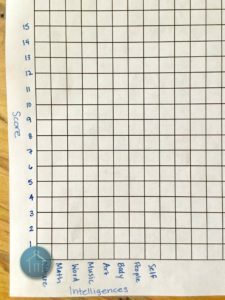 Grid Paper – I prefer to use centimeter grid paper for this activity. Print some HERE! Have students complete the survey. Use the directions provided with the survey. I always modeled the first couple on my interactive whiteboard as a think-aloud. Have students total their responses to the survey. On the centimeter grid paper, I direct my students to set the categories along the x-axis of the graph and number the y-axis with the greatest possible score. If you use the linked survey, students can number to 15. Decide on a color key with students so that they can easily compare their intelligences. For example, everyone colors their total Naturalist score yellow. Now that students are finished cutting their graphs, they can do some comparisons. Challenge students to find someone with a similar profile or choose one intelligence for students to compare. Emphasize that there is not a “good” or “best” intelligence. 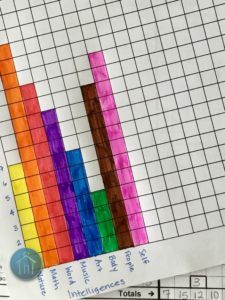 Students can stack their graphs to compare or hold them side-by-side. When students are finished, you could post these by class on a bulletin board. The visual is great for teachers and students alike! Be sure to reference the graphs as you plan activities and lessons.